George Monbiot recently made some important points and asked questions we all should be giving some thought to. ” The promise of private luxury for everyone cannot be met: neither the physical nor the ecological space exists. Bartlett claims that “The greatest shortcoming of the human race is our inability to understand the exponential function.” He talks about the arithmetic and the impacts of unending steady economic and population growth, including an explanation of the concept of doubling time. Fortunately there is a transcript as well! 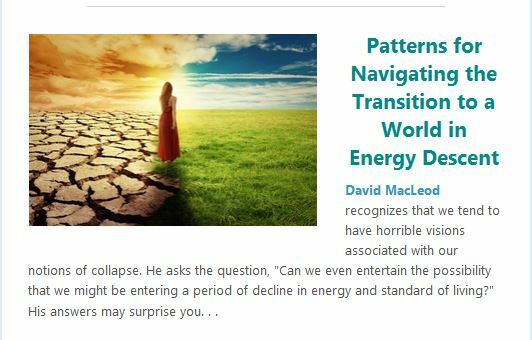 I addressed these isssues in my 2015 ITC paper, Patterns for Navigating the Transition to a World in Energy Descent. Growth is a natural pattern that exists in all natural systems. However, some tend to fetishize and reify this pattern as a primary imperative. For many it has become something of a “myth of the given” – we don’t even question it. The first step is to recognize and respect this as a natural pattern, but to realize it needs to be balanced and integrated for optimal health with all other natural patterns (see my brief intro to PatternDynamics: Following the Way Nature Organizes Itself to Deal with Complexity. In natural systems, growth tends to expand exponentially in the early phase when resources are abundant; then comes a phase of climax, where things can settle down into a more cooperative mode, somewhat approximating (comparatively, and for a period of time) a steady state. The best example is to look at a barren landscape, where fast growing weeds compete with one another for dominance. After a long period of time, this landscape could, under the right set of conditions, eventually evolve into a mature old-growth forest ecosystem, which is a perfect example of interconnected mutual support and reciprocity. This in contrast to the competitive growth pattern exhibited by the “adolescent” patch of weeds. The question becomes, are humans smarter than yeast, which grows rapidly until all available resources are consumed, followed by a collapse? Can we successfully transition to a climax stage which mirrors the steady-state of an old-growth forest, or are we now near our final climax, to be followed by an unrecoverable collapse? Even those who question unfettered growth are enmeshed in the system that tends to keep driving it forward. Integral Economist Peter Pogany saw this commitment to growth as part of the “source code” of the self-organizing world system that emerged in recent history. As systems tend to reinforce and sustain themselves and their dominant patterns, it can be very difficult to try to manipulate and change the system’s direction (see Donella Meadows’ “Thinking in Systems: A Primer”). In Pogany’s view, it will take a (brutal) chaotic transition (which has already begun) to get the system to change course to a new, Gebserian, integral world system that is not wedded to the Growth pattern as a prime directive. Pogany saw this chaotic transition “as a necessity to precipitate a crisis of consciousness that would eventually lead to the wide-spread “integral a-rational” consciousness structure, as based on the thinking of cultural philosopher Jean Gebser” (see my articles Chaos, Havoc, and the American Abyss, and Consciousness and the New World Order. “The master word, adopted by the United Nations, upon which all the popular ideologies of the second half of this century converged…development is a reductionistic conception which holds that economic growth is the necessary and sufficient condition for all social, psychological, and moral developments. This techno-economic conception ignores the human problems of identity, community, solidarity, and culture… In any case, we must reject the underdeveloped concept of development that made techno-industrial growth the panacea of all anthroposocial development and renounce the mythological idea of an irresistible progress extending to infinity” (Morin, Homeland Earth: A Manifesto for the New Millenium, 1999, pp. 59-63). I suggest we join Morin and Pogany in renouncing the irrational exuberance that expects irresistible progress and economic growth extending to infinity. To break out of this cognitive prison habit may be very challenging indeed. However, at some point there will be no choice. It’s time to stop digging that hole that we think is taking us up the mountain. As a follow-up from last week’s post, I share with you Part 2 of Michael Dowd’s video series, “Standing for the Future.” You can view Part 1 here. The text right above the video is just copied and pasted from Dowd’s website. There are two quotes from this video that I found especially important and meaningful. First on The Importance of Personification. “We each have experienced times of trouble that threaten to overwhelm our individual lives. In such times, a vision of possibility is essential. The same holds for the punctuations in history when whole societies face troubles of an immense and uncharted variety. Truly, we have arrived at such a time. Humans, unwittingly, have become a planetary force. We are irreversibly changing the very climate of our world. Henceforth, any actions we take as individuals and societies will be done in the new light of climate change. The former pastor, Rev. Michael Dowd, is best known as the author of the best-selling book, Thank God for Evolution: How the Marriage of Science and Religion Will Transform Your Life and Our World. Dowd is a religious naturalist (“Religious naturalism (RN) combines a naturalist worldview with perceptions and values commonly associated with religions”), an eco-theologian and a pro-science evangelist. His passion for proclaiming a nature-honoring message of inspiration – what he calls “Right Relationship with Reality” – has earned him the title “Rev. Reality.” Michael and his science writer and climate activist wife, Connie Barlow, have dedicated themselves to an itinerant life of permanent travel across North America, speaking out about our sacred responsibility to future generations. Both the nonrenewable (“stock”) resources and the renewable (“flow”) resources upon which we depend I call natural grace. The one-time endowments of stock resources and the sustainable use rates of flow resources are both necessarily constrained on a finite planet. These constraints I call grace limits. These are the limits that ecologists point to when discerning carrying capacity. When we overshoot Earth’s bounty and renewal capacities, we effectively remove ourselves from paradise and put ourselves on the path to hell. To learn to recognize and then scrupulously honor carrying capacity as Reality’s grace limits is a task to which the authors included [on his Grace Limits Audios page] are devoted. I think of these advocates as prophets of sacred realism, or factual faith. Each one, in his or her own way, reveals how the future is calling us to greatness. If we hope to spare our grandchildren from hell and spare ourselves their condemnation, we must now urgently attend to, not just personal piety, but systemic piety. We must immediately begin measuring ‘progress’ and ‘success’ in long-term, life-centered ways, rather than short-term, human-centered ways; nothing is more important than this. Dowd’s Grace Limits Audios are an amazing resource. He’s spent innumerable hours recording in downloadable audio format the best work of a wide array of the most important sustainability and resilience authors – and all available for free download. Some of the authors represented include William R. Catton, Jr., John Michael Greer, Richard Heinberg, James Howard Kunstler, Thomas Berry, JoAnna Macy, Lynn Margulis, Samuel Alexander, Tom Wessells, Erik Lindberg, Walter Youngquist, Theo Kitchener, and more. In addition to his own audio recordings of these works, he also provides a plethora of links to online information and presentations of others. A wealth of education is available here. Dowd’s own recent work is perhaps best summarized in a 5 page essay, “Evidential Medicine for Our Collective Soul: What’s Inevitable? What’s Redemptive?,” published in “Oneing” (Aug. 2016, Vol 4 No. 2), the quarterly publication put out by Richard Rohr’s Center for Action and Contemplation. A 19 minute audio recording of this essay is also available. It is time to integrate carrying capacity into our theologies. Toward this end, I now speak of “grace limits.” The bounds that delimit safe levels of human use of other creatures and their habitats are there by natural grace. By staying within those bounds, we experience the grace of God’s nature. To venture beyond – which we have done, excessively – we suffer “God’s wrath” via storms, drought, floods, wildfires, rising and acidifying oceans, and in a great dying. The call to action for religious adherents is this: to first learn about, then reflect upon, and finally evolve our worldviews. Henceforth, the unbending grace limits of God’s nature, combined with carrying capacity deficits inflicted by a century of human overpopulation and extravagant consumption (i.e. “overshoot”) will constrain even our noblest aims and thus the bounds of our efforts. Stop thinking of me as anything less than the voice of undeniable and inescapable reality. Stop thinking of ‘revelation’ or ‘divine instruction’ without including evidence. 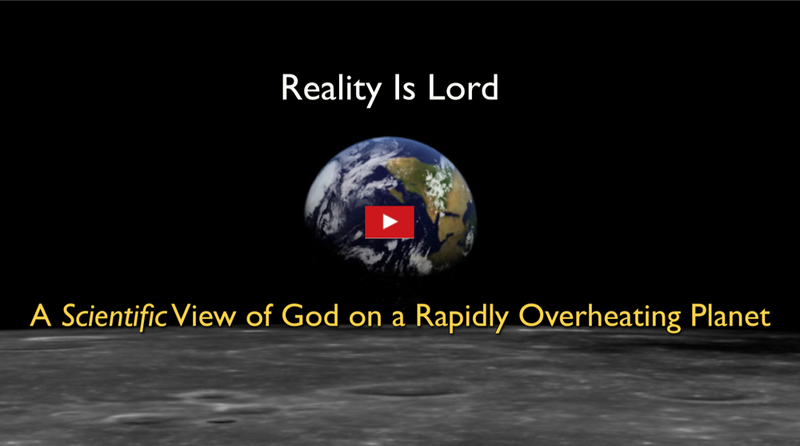 Stop thinking of Genesis, or your creation story, apart from the history of the universe. Stop thinking of theology apart from ecology: the interdisciplinary study of my nature. Stop defining and measuring ‘progress’ in short-term, human-centered ways. Stop allowing the free or subsidized polluting of the commons. Stop using renewable resources faster than they can be replenished. Stop using non-renewable resources in ways that harm or rob future generations. Stop exploring for coal, oil, and natural gas—keep most of it in the ground. Stop prioritizing the wants of the wealthy over the needs of the poor. Michael and Connie are currently engaged in a speaking tour in the northwest U.S., with upcoming vists to Edmonds, Whidbey Island, Seattle, Orcas Island, and Bellingham, WA, in January 2017. Check out their itinerary here. Our Transition Whatcom event listing is here – Jan. 22nd (Sunday morning) and Jan. 23rd (Monday evening), both at Bellingham Unitarian Fellowship. Don’t Trust the Future to President Havoc, America and the Abyss, An Order of Chaos, Please, Venomous 2016 Race Slithers to a Finish, Who Broke Politics?, Democracy’s Majesty and 2016’s Indignity, Final Days – Awful Choice, Europe on Pins and Needles, The First 100 Horrific Days of a Trump Presidency, America’s Descent into Banana Republican-ism, An Election is Not a Suicide Mission, Liberals Cried Wolf about Bush and Romney and We Were Wrong – Fascist Trump is Different, and The Post-Truth Presidency. How did it come to this? And where are we headed after the election? Many have speculated on the reasons for the current crisis in American politics, and surely there are many facets that have played a part, and there are many angles to cover. Richard Heinberg’s recent analysis (An Order of Chaos, Please) covers much of the same ground I was intending to cover here, and serves as a good introduction. He begins by disabusing us of the notion that things will return to normal once the election cycle has concluded. He then shares the somewhat conventional wisdom that many Americans these days, formerly of the middle class, do not have things as well as their parents did. The “wage class” has declined in both income and political power, thanks in part to globalization and other forces. Backs are up against the wall, and people are ready for change. The same-old, same-old doesn’t cut it. Heinberg then takes it a step further, telling us that “American civilization was destined to unravel anyway.” He mentions Joseph Tainter’s work, “The Collapse of Complex Societies,” and offers the sobering analysis that “social pressures from unsustainable debt levels, increasing inequality, and rampant corruption” are the new normal, thanks to “deeper infrastructural issues having to do with resource depletion, pollution (in the form of climate change), and the essential unsustainability of economic growth.” The current election cycle is merely the prelude to an unfolding spectacle of America’s fabric coming apart. Indeed. We are now being forced to wake up today to a Trump presidency and a divided country. There is another writer who had a perspective that I have found to be unique, timely, and insightful. His name is Peter Pogany. One of his last major papers, written in 2013 (Thermodynamic Isolation and the New World Order) before he passed in 2014, was about havoc, chaos, and the abyss, and it was turned into a book published in 2015: Havoc, Thy Name is 21st Century. As dismal as his short term outlook was, Pogany wasn’t all doom and gloom. Like Michael Dowd, Pogany was a short term pessimist, but a long term optimist (Dowd calls himself an “apocaloptimist,” listen to his interview discussing with Terry Patten The New Ten Commandments and the Coming Apocaloptimism here). Darkness must come before a new dawn. It is Pogany’s work that we’ll continue to discuss in more detail in posts to come. An overview of his work can be found on our Peter Pogany page. Many of his older essays are archived at Resilience.org here. I’ve just completed a new page on my website dedicated to promoting the work of Peter Pogany, which you can find here, and I’d like to use this post as a way of alerting everyone to this new page, and to provide a brief summary of what you’ll find there. Peter Paul Pogany (1936-2014) was born in Budapest, Hungary, and later moved to the U.S. to continue his education and begin his career. He worked as an Economist for the U.S. International Trade Commission (where he contributed to many high-profile U.S. government studies on foreign economic issues), and was an Adjunct Professor at George Washington University. My impression is that it may have been after his retirement that he felt free to more deeply explore and begin writing, relating his expertise in economics to thermodynamics, history, philosophy, and other big picture ideas. It is my belief that Pogany’s work is essential for anyone wanting to grasp the implications of integral economics, of which I’ll be writing more about in the future. In Rethinking the World, Pogany delved deep into his understanding of history as a thermodynamic process. His 2006 book does not once mention Jean Gebser, but from 2009 to 2013, Pogany wrote a number of insightful articles and essays relating ideas from Gebser’s magnum opus, The Ever-Present Origin, to the predicament the world is now facing, and the ways in which Gebser’s ideas about stages of consciousness, especially the yet to come stage of the integral structure of consciousness (a universal “intensified awareness”), support Pogany’s own program of New Historical Materialism. Many of these essays were prepared for presentation to the International Gebser Society at their annual conference. Sadly, Peter Pogany passed away on May 25, 2014. His final book, Havoc, Thy Name is Twenty-First Century! Thermodynamic Isolation and the New World Order was published posthumously in 2015. This work is a slight alteration and expansion of a paper published in 2013 (see below). “Just to maintain our standard of living, we need to grow the worldwide economy at an unsustainable rate. As we seek to hit such lofty targets, we’re bound to deplete our resources and cause environmental crises on a scale that we have never seen before. Revolutions, terrorism, and wars will follow. Peter Pogany examines the problems we face and argues that human culture is governed by thermodynamic cycles of steady states interrupted by chaotic transitions. Specifically, he postulates that a steady state was interrupted by World War I, with a chaotic transition following World War II, which has led us to the current world order. His theory predicts that global society is drifting toward a new form of self-organization that will recognize limits to demographic-economic expansion – but only after we go through a new chaotic transition that will start sometime between now and the 2030s. With the two books above, and the essays linked below, you’ll obtain a good understanding of Peter Pogany’s ideas, which I believe are unique, timely, insightful, important, broadly considered, and with wide application. Even better if you can read this material alongside Gebser’s The Ever-Present Origin, and other works and ideas presented on this website (see here and here). Below are a list of important essays and longer papers that I would like to highlight. Check the Pogany Page if you’d like to see descriptive summaries for each essay. Integral Leadership Review (ILR) has published the paper I presented to the recent Integral Theory Conference 2015, “Patterns for Navigating the Transition to a World in Energy Descent” in their August-November 2015 issue. Jeremy Johnson also did a great job as the official conference blogger. Some of you might be able to identify me in the first photo on this page (Jeremy and Tim were two of my five suite-mates, which also included Chris Dierkes, Gaby McDonald, and Trevor Malkinson). This paper considers current concerns about resource depletion (“energy descent”) and the unsustainability of current economic structures, which may indicate we are entering a new era signaled by the end of growth. Using the systems thinking tool of PatternDynamics™, developed by Tim Winton, this paper seeks to integrate multiple natural patterns in order to effectively impact these pressing challenges. Some of the Patterns considered include Energy, Transformity, Power, Pulse, Growth, and the polarities of Expansion/Contraction and Order/Chaos. We tend to have horrible visions associated with downturns and “collapse.” Can we even entertain the possibility that we might be entering a period of decline in energy and standard of living? Can we re-examine our assumptions about “growth” and “development”? Jean Gebser’s emphasis that every mutation of structure is preceded by a crisis is considered and Howard T. Odum’s ideas about energy as the basis of man and nature informs the discussion. Edgar Morin’s dialogic Method of active inquiry in regards to the interplay of polarities assists in our understanding and response to the complex challenges we face. Integral Leadership Review – the world’s premier publication of integrated approaches to leading and leadership. 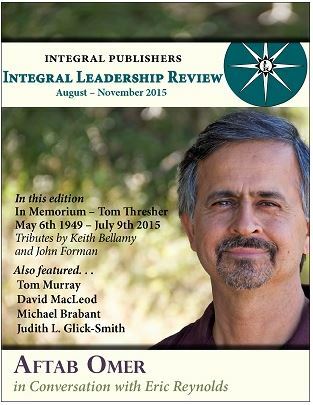 Integral Leadership Review is a bridging publication that links authors and readers across cultures around the world. It serves leaders, professionals and academics engaged in the practice, development and theory of leadership. It bridges multiple perspectives by drawing on integral, transdisciplinary, complexity and developmental frameworks. These bridges are intended to assist all who read the Integral Leadership Review to develop and implement comprehensive shifts in strategies by providing lessons from experience, insights, and tools all can use in addressing the challenges facing the world. This blog has been quiet for a little while, as I’ve been busy trying to do some non-blog writing. I’ve been invited to present a paper at the upcoming Integral Theory Conference in the San Francisco Bay area (July 17-19, ITC), so I’ve been working away at that paper for a while. For a sneak peak on the topic I’ll be presenting on there, check out my presentation in Bellingham, WA on May 21 (see below). At the conference I get 20 minutes to present. Here, speaking at the local Bellingham outpost of the Institute of Noetic Sciences (BIONS), I get 1 1/2 hours. The original title I proposed for my paper was “Patterns for Navigating Transitions in a Descending Energy World.” I’m using the systems thinking tool of PatternDynamics(TM) to address the issue of what David Holmgren calls “Energy Descent,” i.e energy depletion, or “peak oil” – and its association with the idea of limits to growth. And its relationship to integral theory. The paper has turned out to be a bigger project than originally envisioned, and will likely become a multi-part project. The blurb for my presentation in Bellingham on May 21, 2015 is below. For a good introduction to the Integral Theory Conference, check out Jeremy Johnson’s post on The Unthinkable Present. We will explore the world in crisis and chaos as an opportunity for social and spiritual transformation as we form stronger connections to the earth’s natural patterns and to each other. This presentation will consider appropriate responses to current concerns about resource depletion, climate change, and the unsustainability of current economic structures; all of which are leading some to argue that we are entering a new era signaled by the end of economic growth and declining fossil fuel energy. We tend to have horrible visions associated with downturns and “collapse.” Can we even entertain the possibility that we might be entering a period of decline in energy and standard of living? Can we redefine “growth” to refer to our human potential rather than to our GDP? Perhaps we can learn to expand our consciousness and increase cooperative behaviors as we ride the wave down the peak oil curve. This presentation will be supported by a new systems thinking tool called PatternDynamics™. Inspired by Permaculture’s emphasis on natural patterns and principles, PatternDynamics combines the patterns of nature with the power of language. The result is a tool which helps us understand and communicate ways of supporting resilience. We will learn some of the dynamic patterns that could assist us in creatively navigating our way through an energy descending world. 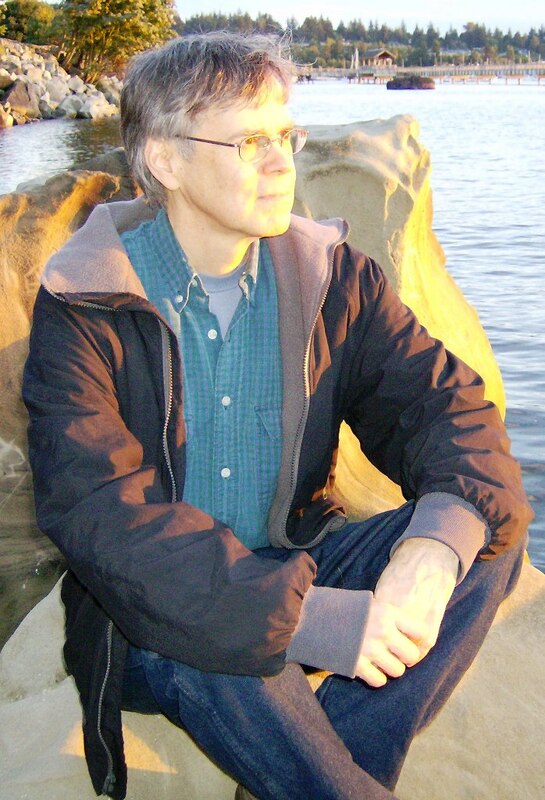 DAVID MACLEOD is a member of the PatternDynamics™ Community of Practice and is committed to community resilience as a co-initiator of Transition Whatcom. He was named an “Environmental Hero” by RE Sources for Sustainable Communities, and appointed to a city and county Energy Resource Scarcity/Peak Oil Task Force. He has contributed articles to Resilience.org, Integral Leadership Review, and Beams & Struts. David has been invited to present an academic paper on the topic of tonight’s discussion at the Integral Theory Conference this July in the San Francisco Bay area. David holds a BMus degree from Western Washington University, a Level II (b) accreditation in PatternDynamics™, and a Permaculture Design Certificate. He blogs at https://integralpermaculture.wordpress.com/. All views presented are not necessarily those of IONS or of the BIONS Team.